Adults: $15, Seniors & Students: $10, Children under 5 FREE. Tours begin on the veranda at The Pines Inn at 5 Maple Street, Pine Plains. 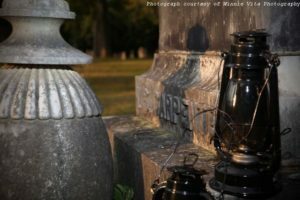 Tour guides will then lead you by lantern light through our circa 1820 cemetery, where actors in period costume will appear, bringing former residents of Pine Plains to life. An educational and fun event! Special tour at 5:00 for mobility-impaired people. Please call the library to reserve a spot on this tour.